The insurance company has no use for the vehicles so they typically auction them off. You can find salvage truck auctions in person or online. The insurance companies use sites like Copart.com to sell their vehicles to buyers from around the world. Salvage truck auctions are a great way to find salvage trucks for sale online. Not only will you be able to buy a truck for a fraction of its original worth but you can do it from anywhere. In most cases, if you do not have a dealer’s license you will not be able to bid on the trucks directly on the Copart website. Fortunately there are sites that will allow you to access the Copart truck auctions without a dealer’s license. One of the sites that you can use to buy salvage trucks without a dealer’s license is Salvage Trucks Auction. Why is it worth looking into salvage trucks for sale? These are just some of the benefits of purchasing a salvage truck. Using an auto auction site will also save you time. Although the most common reason for a salvage title is accidents, there are other causes as well. Hail Damage: Hail damage is one of the most common reasons for a salvage title besides accidents. Flooding: Flooding is another very common reason for a truck to receive a salvage title. Stolen Vehicles: Insurance companies give stolen and recovered vehicles a salvage title upon recovery. In many cases, you will be able to take a truck with a salvage title, repair, it and have its title rebuilt. To have the title rebuilt the vehicle will need to undergo and pass an inspection. Once a vehicle has its title rebuilt it can be insured and used normally. In some cases a vehicle may not be able to have its title rebuilt. The extent of the damage will determine if the vehicle is repairable or non-repairable. Non-repairable vehicles will not be able to have their titles rebuilt. When it comes to repairs, buying a parts only truck could be less expensive than just buying the part you need, but that is just one of the benefits of buying salvage trucks for parts. Insurance companies have totaled vehicles on hand for reasons ranging from accidents to floods. The insurance companies need to get rid of these vehicles so they work with online auto auction sites like Copart.com. 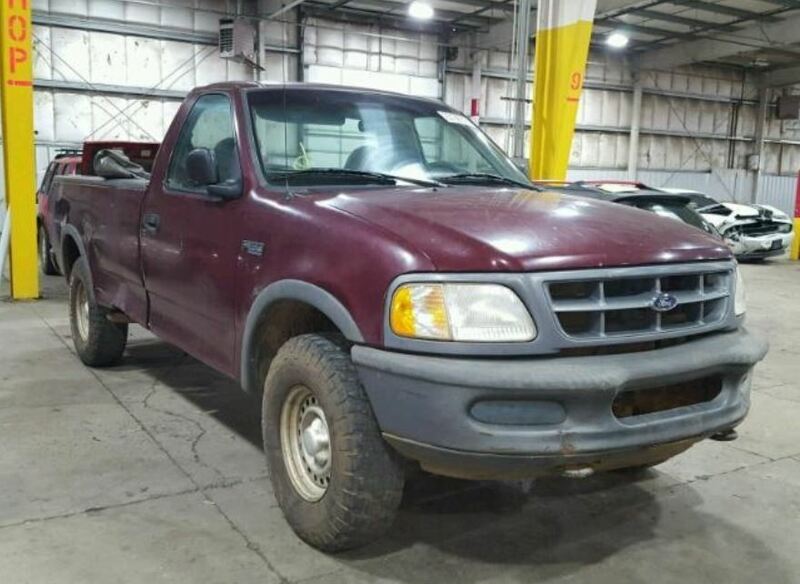 In addition to salvage trucks, they also have salvage cars for sale. These auctions are available to dealers around the globe because they can’t always make it to the salvage yard in person. Fortunately, there are sites you can use to place bids on vehicles without being a licensed dealer. You can also register with a Copart broker to login into their site directly and make bids using dealer credentials.